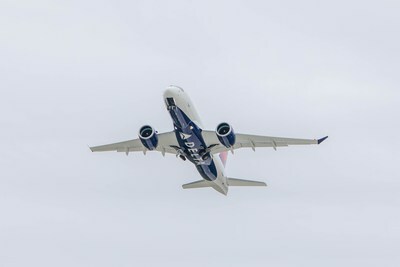 NEW YORK, Feb. 7, 2019 /PRNewswire/ -- Pratt & Whitney, a division of United Technologies Corp. (NYSE: UTX), along with Airbus and Delta Air Lines celebrated the entry into service (EIS) of the airline's A220 aircraft powered by Pratt & Whitney GTF™ engines. The momentous occasion makes Delta the first A220 operator in North America. The event was commemorated with a gate celebration at LaGuardia Airport in New York.